Google Inc took another step toward a commercial version of its Google Glass eyewear by acquiring a small stake in a unit of Taiwanese chipmaker Himax Technologies Inc that develops tiny displays. Himax's shares were up a third to $6.86 on the Nasdaq. Google will take a 6.3 per cent stake in Himax Display Inc (HDI) and has an option to raise its stake to 14.8 per cent within a year, Himax said in a statement without disclosing the financial details. Google confirmed the deal in an email to Reuters and said Himax Display Inc had been its partner for several years. Himax said the investment would help fund production of liquid crystal on silicon (LCoS) chips and modules, tiny devices used to project images inside head-mounted devices such as Google Glass as well as head-up displays and pico-projectors. As competition moves from smartphones and tablets to wearable technology, Google is pushing its eyewear as rivals Apple and Samsung Electronics Co work on devices to be worn like a wristwatch. Described by Google CEO Larry Page as vital to the company's future, Google Glass incorporates a stamp-sized display mounted on the left side of a pair of eyeglass frames that can record video, access messages and retrieve information from the Web. The project has caught on. Developers, such as those at eBay Inc, have already started working on potential apps, while venture capital firms have teamed up to provide funding for startups working with Google Glass. 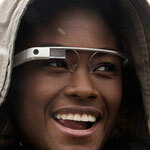 Google, which has unveiled its own apps for Glass, has distributed the device to a limited set of early users and developers, and expects to make it available "more widely" later this year. Jay Srivatsa, managing director of equity research at Chardan Capital Markets, said the investment by Google endorsed Himax's capabilities in LCoS displays and confirmed the Taiwanese company as a "key supplier" to Google Glass. Srivatsa, rated three out of five by StarMine for the accuracy of his Himax earnings forecasts, estimated Google's investment in the unit to be in the range of $20 million to $40 million. Google will join Intel's Intel Capital Corp, Khosla Ventures I LP and KPCB Holdings as a shareholder in Himax's HDI unit. The transaction is expected to close in the current quarter, Himax said.